Sriharikota: The Indian Space Research Organisation (ISRO) launched the advanced weather satellite successfully on Thursday evening around 5:00 pm. The new weather satellite has the name as INSAT-3DR. 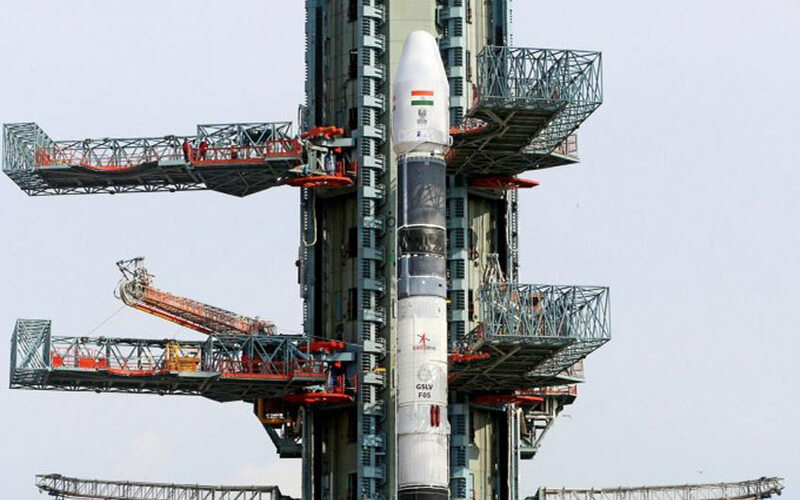 This new Indian satellite has used the rocket GSLV-F05. Initially, the launch time has fixed as 4:10 pm. Later it was postponed to 40 minutes later as around 5 pm today on September 8, 2016. The Live Streaming has also telecasted via YouTube, ISRO official website and the National Doordarshan channel. The ISRO INSAT-3DR advanced weather satellite launch is another one more success for all the ISRO scientists. This is the India’s tenth flight, which has designed to inject 2 to 2.5 ton class of satellites in the orbits. The INSAT 3DR has the 2,211 kg weight. This operation has success after the eight years of the life and it has designed by using all latest modern instruments. This new GSLV-F05 has been taken its own designated geosynchronous orbit using its own propulsion systems. All the latest weather study instruments will help to study the weather patterns and also for the study of surface level search and rescue operations. It is India’s tenth flight of India’s Geosynchronous Satellite Launch Vehicle marked its success as again. PankajaGopinathMunde @Pankajamunde: huge step for #MakeInIndia with success of 1st operational flight with indigenous cryogenic engine. Congrats #ISRO team 4 making India proud. Dr Raman Singh @drramansingh: #ISRO does Nation proud,yet again! Launched #GSLVF05 with Advanced Weather Satellite #INSAT3DR. #MakeInIndia Shines. The GSLV-F05 flight profile has released early by the ISRO. As per that profile, there has three stage. The First stage has two divisions as Strap-Ons and Core Stage. The diameter of the strap-ons is 2.1m and the core stage is 2.8m. And the remaining two stages is also the same diameter. The Length of the stages is varied as 19.68m, 20.18m, 11.57m, 8.72m.